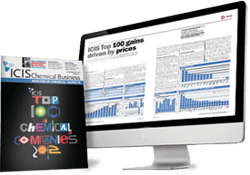 The xylenes markets are covered by ICIS weekly in Asia, Europe and the US and daily in Asia. Independent and unbiased price assessments are quoted for isomer and solvent grade in Asia, solvent grade in Europe and for mixed xylenes in the US. Our network of locally-based reporters can provide you with trustworthy and reliable information upon which you can make informed business choices. 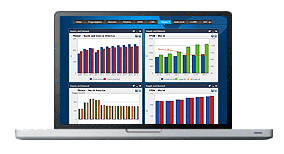 Our news and analysis within the commentary of the reports includes overviews, upstream and downstram news, production updates, tank inventories, outlooks, demand and supply and any other factors pertinent to the market at the time. Supply softer on scheduled mainteance at a key supplier’s plant in Taiwan. Turnarounds at downstream PX units in the region. A southern European turnaround in September-October may reduce the pool of offers temporarily. 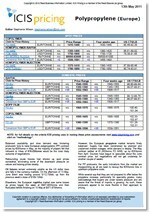 Fourth-quarter European xylenes pricing will continue to be influenced by bullish energy values. Brent crude oil was looking strong early in the fourth quarter, rising above $80/bbl ahead of US sanctions against Iran due to begin in November. Demand for oxo alcohols are not expected to change much in the fourth quarter. The plasticisers segment is expected to provide some support in October before slowing down as the year comes to a close. NBA’s downstream units in China are also not expected to have additional demand in the fourth quarter. US MX supplies are expected to continue improving throughout the third quarter as gasoline demand ticks down from the peak levels experienced during the summer high season. Gasoline demand is also expected to fall ahead of the switch from summer-blend gasoline to winter-blend gasoline, which typically occurs in September. Supplies will also improve alongside increasing refinery rates. US MX demand is expected to tick down throughout the quarter alongside stabilising gasoline demand. Gasoline demand will continue to soften throughout the quarter before the switch from summer-blend to winter-grade gasoline, which typically occurs in early September. Winter-blend gasoline will decrease demand for octane-enhancing aromatics such as MX for the gasoline-blending pool. We offer the following regional Xylenes-Mixed xylenes analysis and news coverage to keep you informed of factors and developments affecting prices in the Xylenes-Mixed xylenes marketplace. Over 25 years of reporting on key chemicals markets, including Xylenes-Mixed xylenes, has brought global recognition of our methodology as being unbiased, authoritative and rigorous in preserving our editorial integrity. Our global network of reporters in Houston, London, Singapore, Shanghai, Guangzhou, Mumbai, Perth and Moscow ensures unrivalled coverage of established and emerging markets. Xylenes are produced, along with benzene and toluene, from a reformer after running naphtha through an ethylene cracker. The major use for xylenes is in the production of paraxylene (PX) and orthoxylene (OX). They are also used as a solvent in the paints industry and for other solvent uses. Mixed xylenes (MX) are produced by high-severity catalytic reforming of naphtha from which the C8 stream contains OX, metaxylene and PX, as well as ethylbenzene (EB). Xylenes are also obtained from the pyrolysis gas (pygas) stream in a naphtha steam cracker and by toluene disproportionation (TDP) and transalkylation. Mixed xylenes occur as a colourless, flammable liquid or crystals, with a characteristic odour. They are insoluble in water and miscible with most organic solvents. Mixed xylenes are a clear, sweet and flammable aromatic liquid or vapour. They are harmful or fatal if swallowed or inhaled, causing respiratory tract irritation, eye and skin irritation or an allergic skin reaction.